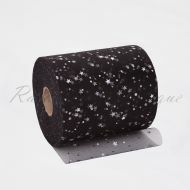 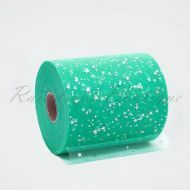 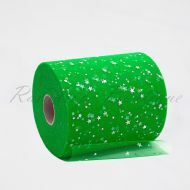 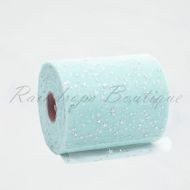 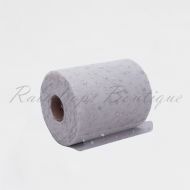 Sparkly hologram sequin stars adorning our medium soft range of polyester tulle rolls. This fabric creates a stunning crystal effect all over that picks up on the slightest light. 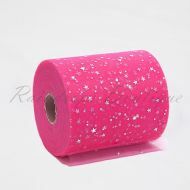 There’s no glitter so no mess. 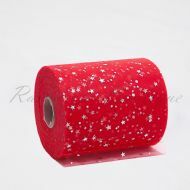 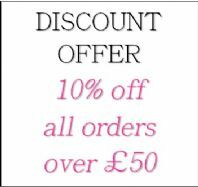 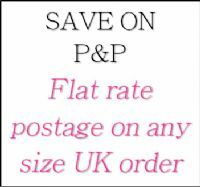 It can be used for a variety of projects but it’s especially effective when used on the top layer of tutu skirts/dresses or as a backdrop, table decorations, party favours, fascinators, costume, theatrical display and much more.